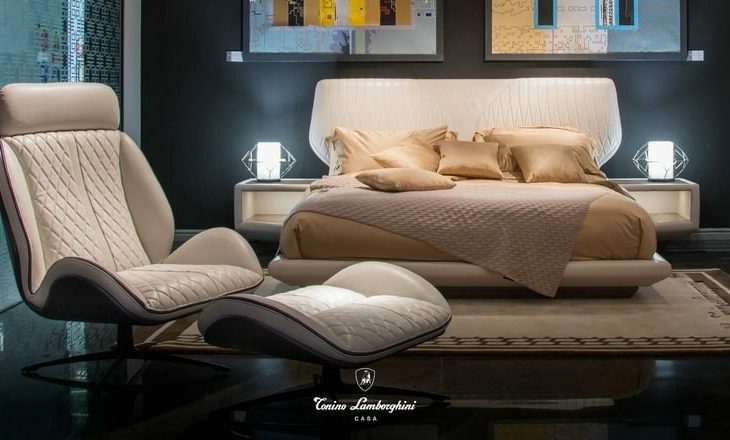 Luxury furniture company Tonino Lamborghini Casa is preparing to introduce its new 2019 collection. Set to debut next month at the Furniture Fair at Salone del Mobile Milano 2019, the new collection honors the brand’s 15-year history of collaboration with Formitalia Luxury Group. As expected, the pieces are forward-thinking, colorful, and occasionally daring. Some of the larger collection pieces include the chicly minimalist Sarthe Sofa and the Victoria armchair. Customers can customize the fabric of both pieces, and the luxurious armchair is available in several stunning colors. Tonino Lamborghini Casa’s new line includes Tay, a sleek black coffee table designed to fit perfectly with the collection’s sofa and chairs. The Alpha-One collection of lamps maintains the modern aesthetic with statement-making metallic lampshades.